Make Jesus Lord of your life! H.R. 1 passed the U.S. House today on a strict party-line vote. The so-called “For the People Act” title is certainly reminiscent of 1950/60’s-style communist rhetoric. This hallmark legislation championed by the Democrat Party is nothing short of a power grab, taking Constitutional authority regarding elections from the states including sweeping new voter registration rules, promoting ill-conceived ethics reforms, and calling for D.C. statehood. The Democrat Party should be ashamed. 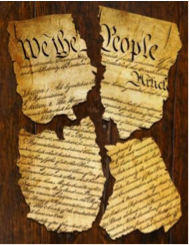 This bill is unconstitutional, unwise, and unAmerican. This is a desperate political move to the far left. Americans should be aware and Dem House members should be placed ON NOTICE! I am praying that America wakes up to this crisis and speaks in 2020, if not sooner. 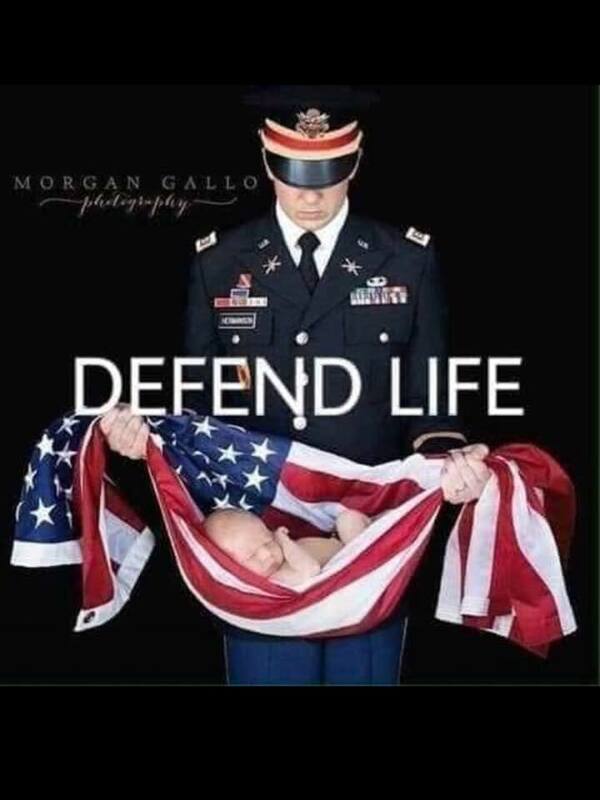 The President’s 2019 State of the Union address will go down in history as an unequivocal stand for life, liberty, and property. He stood for life, the defense of our country, and our free markets. God bless you, Mr. President, as you flesh out your words in the administration of your high office! It’s almost over! I don’t particularly like talking about politics per se, but I am very concerned about America and most concerned about American’s who don’t know our history or our founding principles. When you don’t understand, it’s easy to fall for counterfeits and replacements. This election is chocked full of good and bad choices that either do or don’t reflect the values and principles that have made our country the envy of the world. Those values and principles do not carry partisan labels, but must be used to discern the good and the bad of candidates, judges, issues, and to see through their political labeling. That is not an easy job, and the easy way out would be to either not vote at all, or just vote on one or two of them and leave the rest. What I am about to say may be strong, but…it is irresponsible to not do your ballot homework. America is depending on you to make the right choices. Broad participation of an informed electorate is the key to good government. 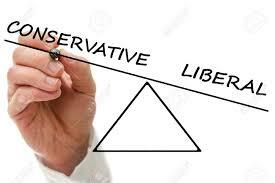 You cannot leave it to the partisan ballot box stuffers who only vote on one or two things. Do your own homework or find someone you really trust to help guide you. Elections have consequences. They do not just affect you, but your family and generations to come. I’m glad our founding fathers did not just think about themselves; they were thinking generations ahead. May God give us that kind of unselfish love and genuine patriotism as we prepare to enter the voting booth. In America and around the world, Labor Day and “International Worker’s Day” has a checkered past. From the Chicago “Haymarket Riot” in May of 1886 to the “May Day” celebrations of Socialists worldwide, Labor Day in America has always endeavored to distance itself from the Communistic class struggle between workers and owners. It goes without saying that traditional and Fabian Socialists saw their opportunity to unite proletariat workers in their “plight” against the bourgeoisie. Class oppression and resistance has always been the rallying cry for them. This gave the division of labor new meaning! Enter U.S. labor unions and the seeds of American progressivism. Riots, muscle tactics, and organized crime quickly seized the early days of the Twentieth Century labor movement. Because of its history in America, Labor Day has meant different things to different people. But today–to most rank and file Americans–it means another holiday and a celebration of a different sort. It means a celebration of family and material abundance that is brought about by hard work. You can get ahead in America like no other place on the planet. Part of the genius of the American free market economic system is the freedom to buy and sell, to start your own business or work for someone else, and freedom to enjoy the fruit of your own labors. Work (Labor) is good. Man was created to work and give expression to his purpose and potential and be recognized for it by his Creator. God gave us freedom to associate (organized labor) as well as freedom not to associate. God-given Liberty is precious and should be precious to us. But remember that we are individually held accountable for how we use the freedoms we enjoy. Someone else will not be held accountable for my choices; I must answer for my own actions. Organized labor MUST understand and reflect this principle of individual accountability. We would do well to heed those Biblical admonitions regarding our work and our rest. I am grateful today for our God-given freedoms and for their rightful and peaceful expression in the marketplace. You think the political commercials are bad now. Just wait. The uber spin, half-truths, and ad hominem political ads are enough to make one sick of being involved in the political process. But you cannot, you must not, let that stop you from exercising your civic and moral responsibility; yes, moral responsibility. In America, seeking the welfare of yourself, your family, friends, and neighbors, is to help protect them by casting an informed and God-honoring vote on issues that affect them all. What does it mean to “honor the king” in America? Who is the king? We the people reflect the sovereignty of God in our individual vote and participation in the political process. We don’t have a king in America; it is we the people who exercise our choice under God to establish godly righteousness in our communities and in our land. In America, we participate in our democratic process to “honor the king” by protecting we the people with a vote that understands the issues, the problems, and the solutions. That kind of vote requires genuine understanding, which requires time, effort, and prayer, and cannot be done without godly wisdom from the King of the nations (Revelation 15:3). American Christians cannot fully love their neighbor without expressing it through a godly, informed, and enthusiastic vote. We do not have the luxury of “skipping out” of our due diligence towards an informed vote. It is our responsibility; it is our Christian duty. The following observations only juxtapose the MO (former) Governor Eric Greitens debacle with the Missouri race for the U.S. Senate. More than enough has already been disclosed about the governor’s illicit tryst and the surrounding negligence and loss of integrity. But these issues do play a role in the current senatorial election. Greitens’ unfortunate demise is the result of his own arrogance. MO Attorney General Josh Hawley is also a candidate for the U.S. Senate race. Regarding his role in the Greitens investigation, it is the MO attorney general’s responsibility to investigate any credible allegations such as falls under his constitutional purview. I think Josh Hawley was, and is, simply doing his job–not for political gain or expediency. Who assigned blame to whom? Governor Greitens openly blamed the Democrats for the attacks against him. Democrats blamed the Republicans. Greitens supporters (mostly independents/libertarians) blamed Hawley. (These independent/libertarians are the ones supporting Austin Petersen in the Republican Senate primary.) Petersen is a secularist libertarian masquerading in Republican conservative clothing. He has exercised very poor judgment and rhetoric in blaming Hawley for all these troubles in MO. Tony Monetti, another candidate, followed Petersen right down this path of castigating Hawley with the notion that the Greitens investigation was a conflict of interest alongside a U.S. Senate campaign. Both opponents have continually pelted Hawley with numerous allegations of RINOism, aspiration, elitism, cowardice, and other swamp-like tactics. These are fatal, ad hominum mistakes and will not win them the nomination. To date, I have not heard a negative word from Hawley regarding his primary opponents. He has taken the high road by taking the fight solely to his Democratic opponent. Josh Hawley has navigated this MO mine field with precision, (as has his Democratic rival). His primary opponents, though, articulate as they are, are being blown to smithereens. Their bravado will be their undoing. Billy Graham helped preserve America. America’s founding fathers understood the importance and role of spiritual vitality in the health of our nation. Without public virtue, the nation becomes corrupt, and without virtue a republic does not survive. Virtue cannot exist apart from religion. In their design of a new nation, our founding fathers depended on these truths. 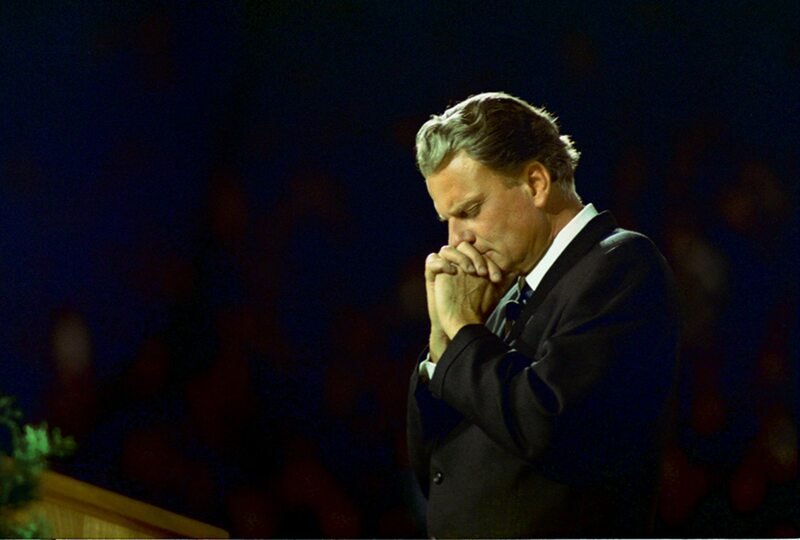 It is the end of an era with the death of America’s premier evangelist, radio and television preacher, Billy Graham. His mission was to call America and the world back to God and he did that by preaching an unequivocal life-transforming gospel of the death, burial, and resurrection of Jesus Christ. Dr. Graham and his associates pioneered mass-media evangelism and took the message to scores of millions of people. In the mid-20th Century, he and his beloved “team” were instrumental in resetting the conscience of America to God’s standards and affirming those timeless values necessary for a just and free society. Though this time period of spiritual renewal was not on the scale of America’s previous historic awakenings, God used this man to deliver a message of repentance and return to the God who blessed and established us as a nation. America has not seen that kind of renewal since. Who will take his place? Who will God use? To the Graham family and BGEA associates, we offer or sympathies for their loss, and the country’s loss. “The Team” is all together again in Heaven. As we remember Billy Graham with gratefulness, may we also whisper a prayer to God for our nation that our hearts would be turned back to Him and His Word. May God once again bless America with spiritual leaders like Billy Graham, who take up the mantle of calling us back to our spiritual roots. 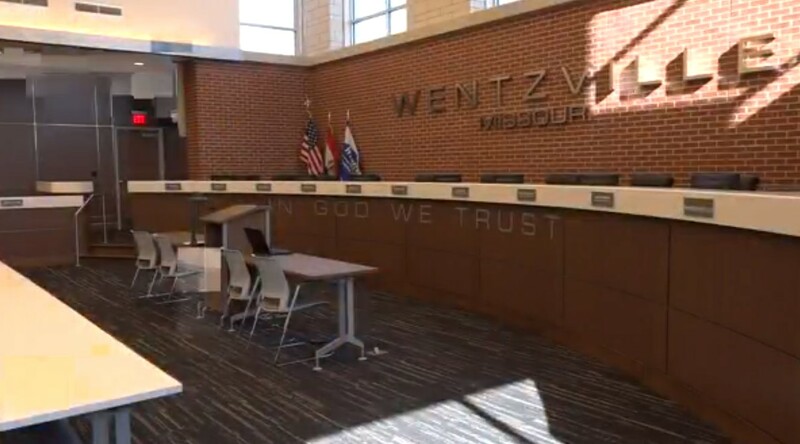 The City of Wentzville is coming under fire because of their display of our nation’s national motto in the new City Hall. No controversy here. When will people learn. “In God We Trust” is on our money and displayed in our halls of state and federal government, the Chamber of the U.S. House of Representatives, for one. The sentiment is enshrined and echoed in America’s founding documents as well as in the constituting documents of every state in the Union, including Missouri, just look it up. Like most people, I do not want a church-run state nor a state-run church. In that sense, I do believe in separation of church and state, but I do not believe in the separation of God from government. They come from God—so says the Declaration of Independence (not to mention the Bible). I certainly don’t want government dispensing my rights to me. Rights are inherent and God-given, not man-made. We better all agree with that, because the Rule of Law depends on it—no person is above it because no person devised it. Absolutely, and they still do. But most nonbelievers I have talked to are glad that others believe in the God of a value system and legal system based on the Ten Commandments. Any American that does not believe in the value of the Ten Commandments misses the point of what a civilized nation is all about. The “law of nature and the law of nature’s God” are hallmark to our responsibilities as well as our rights. Watch these short videos for a great explanation from a non-Christian, Dennis Prager, regarding the wide application of the Ten Commandments in American society. It is still the best moral code the world has ever seen. For ourselves, our families, and our friends and neighbors, “In God We Trust” is the best idea for the preservation of our freedoms and the living of our lives. Why is Christmas a National Holiday? Christmas has long been celebrated regionally in America, mostly according to Old World customs imported with immigrants. It was in the 1850’s, with sectional strife and later civil war, that Christmas became a unifying repose during America’s most disunified time in her history. Christmas became a national (federal) holiday in 1870 (President U.S. Grant), along with New Year’s, Independence Day, and Thanksgiving. According to a new Pew Research Center survey, 90% of Americans say they celebrate Christmas; while 95% of Americans self-identifying as Christians say they celebrate Christmas. How did former presidents celebrate and communicate Christmas? *On his first Christmas Eve as our first president, George Washington (1789-1787) attended services at St. Paul’s church in New York City, our first Capital. 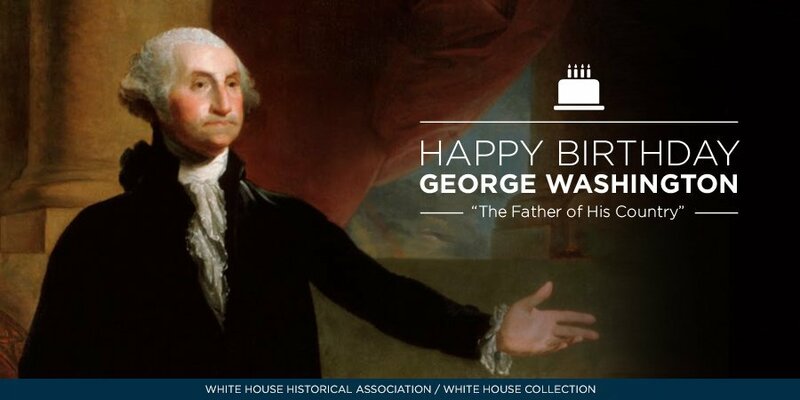 President Washington was the only president who did not live in the White House. He was instrumental in selecting the design and location of the White House, but construction was not completed until after he left office. President Washington and his wife, Martha, were very big entertainers at Christmas. Although Christmas cards were not used until the mid 19th Century, George and Martha Washington sent many invitations during the eight Christmas seasons of Washington’s presidency, and they were often joined by relatives, friends and many prominent people of the times. *When the second President of the United States, John Adams (1797-1801), moved into what would come to be known as the White House, the residence was cold, damp, and drafty. Sitting at the edge of a dreary swamp, the First Family had to keep 13 fireplaces lit in an effort to stay comfortable. It is in this setting that the cantankerous president held the first ever White House Christmas party in honor of his granddaughter, Susanna. It could be said that the invitations sent for this party were the very first White House Christmas cards, though in those early days, the building was referred to as the President’s Palace, Presidential Mansion, or President’s House. The affair was planned in large part by the vivacious First Lady, Abigail Adams, and was considered a great success. A small orchestra played festive music in a grand ballroom adorned with seasonal flora. After dinner, cakes and punch were served while the staff and guests caroled and played games. *Thomas Jefferson (1801-1809) was America’s third president. In 1805, six of Jefferson’s grandchildren and 100 of their friends – invited by Secretary of State James Madison’s wife, Dolley, who acted as official hostess – made for a tremendously enjoyable holiday party at which Jefferson played the violin for the dancing children. Christmas celebrations at the Jefferson White House were festive affairs where delicacies and local American foods were served. John Quincy Adams, our last surviving Founding Father, blended together two celebrations: our nation’s birthday and the birth of Jesus—Christmas. America is a blessed nation because of her historic acknowledgment of our Lord and Savior, Jesus Christ, and His earthly mission. Time or space does not allow us to cover all the presidential Christmas celebrations or comments, but here are some quotes from four 20th Century presidents and our current president. “The spirit of Christmas breathes an eternal message of peace and good-will to all men. We pause therefore on this Holy Night and, laying down the burdens and the cares of life and casting aside the anxieties of the common day, rejoice that nineteen hundred years ago, heralded by angels, there came into the world One whose message was of peace, who gave to all mankind a new commandment of love. In that message of love and of peace we find the true meaning of Christmas. 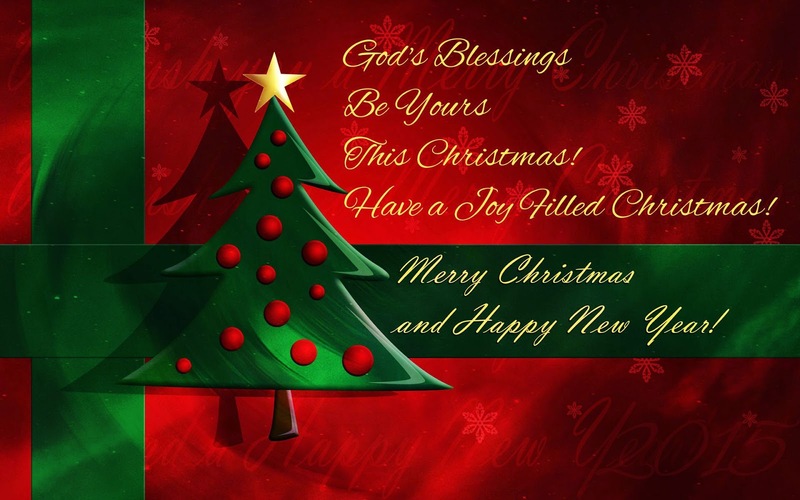 “For Christians, this is a Holy season – the celebration of the birth of our Lord and Savior Jesus Christ. The Christmas story begins 2000 years ago with a mother, a father, their baby son, and the most extraordinary gift of all, the gift of God’s love for all of humanity. Whatever our beliefs, we know that the birth of Jesus Christ and the story of this incredible life forever changed the course of human history. There’s hardly an aspect of our lives today that his life has not touched: art, music, culture, law, and our respect for the sacred dignity of every person everywhere in the world. Each and every year at Christmas time we recognize that the real spirit of Christmas is not what we have, it’s about who we are – each one of us is a child of God. Make it a blessed and merry Christmas 2017, America! Symbols mean something different to each of us. Statues and other art are symbols of our history—history that should not be dismantled or forgotten. The problem arises when symbols (i.e. a confederate flag or monument, statue or bust, or painting) become offensive to someone for one reason or another—ethnic, racial, cultural, political, or other reasons. Should history be revised or edited, or censored just because it is offensive to some? What about dictators and their symbolic flags, etc.? As deplorable as the Nazi and axis regimes were, should Hitler’s and Mussolini’s and Hirohito’s pictures and political flags and symbols be obliterated from our cultures? If history is to be remembered, and it should be, then those symbols must be reinterpreted, not as an expression of support, but as a reminder of our past and an admonition not to repeat it. To many today, the name Margaret Sanger, or Francis Galton, or Eugene Debs, or Joseph Stalin, or Mao Zedong mean little or nothing. Should they or their symbols be erased from history? It is the same for disdainers of Columbus, or Lincoln and Lee, or Washington and Jefferson. Do we whitewash and “sanitize” history according to our perspectives? Or do we use some common sense and discernment to view history as a teacher and we as learners; deducing how we can better live and coexist? There are some who will try to revive these historical emblems for nefarious purposes, and that is something quite different. But culturally, I believe we need reminders of our history—reminders of the good, the bad, and the ugly—whether they be in museums or parks or other public places. We should know our history and be able to properly interpret and explain it, viewing it through the lens of God’s truth and His principles of liberty and love.